Living with Logan: You ARE the professional. This post has been bouncing around in my brain like a bad game of Pong for weeks now. I've composed it several times in my head, and it never goes well. So, I'm just going to be direct about it and hope for the best. I am disturbed greatly by "professionals" who belittle and berate parents. "Professionals" with those big important initials behind their names, who tell us that we are "inhibiting your child's progress because of your own stubbornness and refusal to provide necessary therapies and treatments" or even worse, going so far as to accuse a parent of a special needs child of Munchhausen by proxy syndrome (MBPS). It happened to me. I was "creating my own drama". I was incapable of showing my monsters love and affection, to the point that the "professional's" opinion was that I was abusing my beloved monsters through neglect. I have news for "Professionals" with the big important letters behind their names. I AM the professional. I AM who provides Logan's care, and the care of his siblings. I AM the professional that knows every single monster's medical history, allergy, phobia, favorite songs, stories, colors, and dinners. I AM the professional that knows every medication and dosage every single one of my children needs. I AM the professional that demanded therapy and care for Logan, and will continue to do so. I AM the professional that can tell you what works to help my children sleep and what does not. I AM the professional who sings my children to sleep, walks the floor with the twinnies until all hours of the night, and snuggles each and every monster~ even the teenagers~ when they are scared or hurt or sad. I AM the professional who teaches paramedics, doctors, therapists, and educators about Logan and his needs. I AM the professional who has meeting after meeting after meeting to make sure my children are getting what they need. 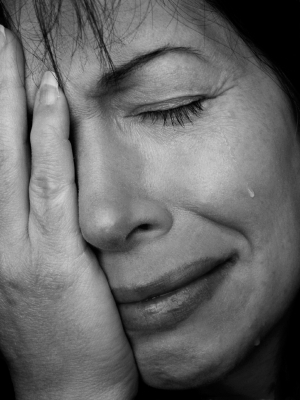 I am not, however, the only parent who has experienced this particular brand of heartache that will rock your world and make you question every molecule of yourself. Make you wonder what business you have being a parent, if some stranger can come into your home and give you a ridiculously detailed report of every way in which you have failed as a human being, as well as a parent. I have scrutinized every minute of every day, every second of parental interaction with my monsters ever since this experience began August 6.. while I was hundreds of miles away from home, attending BlogHer and learning from other special needs parents, REAL professionals, and bloggers. Yes addicts, that's right. This "Professional" judged my parenting when I wasn't even there. I have cried buckets of tears. I have literally screamed in anguish. 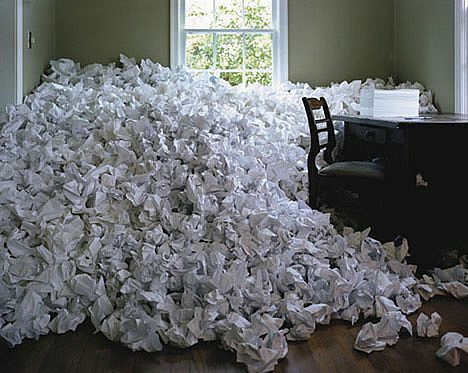 I have spent hours evaluating every word before I speak. I have taken notes, talked to the Daddy (who, by the way, is the most awesome, incredible, amazing person EVER and has stood by me offering hugs and encouragement during this extremely vivid version of Hell), and wondered how I could possibly be this ignorant. Here's what I've discovered: Professionals can be wrong. Very, VERY wrong. I may be "just a Mom", and I may not have the initials behind my name, but I guarantee I will give you a run for your money. Nothing, nothing at ALL in this world is more important to me than the monsters. I will move mountains to make sure that they get whatever it is that they need. Right now, oh mighty abuse-by-neglect spouting professional, who is of the opinion that I create drama for attention (And really, when do I have time for THAT?? ), what my monsters need is for me to forget your existence. To be the Momma, and help them to thrive in spite of the havoc you have left in your wake. Why, yes.. 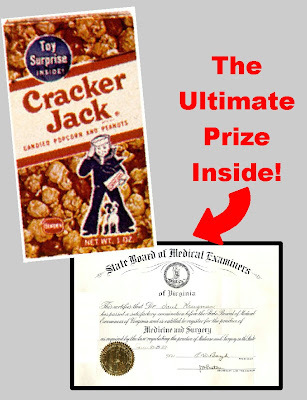 I DID get my degree from a box of Cracker Jack. You, too?? This post should not be substituted for proper medical care,treatment, diagnosis, or therapy. This post should in no way be construed as a "Professional" opinion because you know... I'm "just a Mom"
This post may be deleted at any time, after I sleep and realize I have just spilled my guts over the Internet. This post was purely for therapeutic purposes on my part.